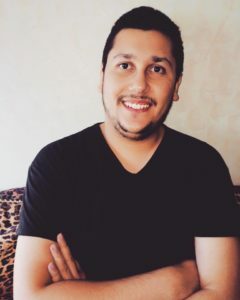 Interview with Mohamed Zakaria Belmehdi, a student of Bachelor study programme International Politics and Development, about his political science studies at Vytautas Magnus University. M. Z. Belmehdi is VMU Ambassador from Marocco. Why did you choose to study in International Politics and Development study field and why from all other universities did you choose to study at Vytautas Magnus University? For me I’m attracted to political science, the subjects of the program attracted me as well as the description about individual subjects and the program. Before coming to Vytautas Magnus University I’m was searching about a suitable political science program in English language, plus Lithuania attracted me the most. Since you are studying in your last semester, could you please describe what experience have you received from VMU International Politics and Development studies? Studying in VMU International Politics and Development Studies, have deepen my knowledge about political science in general and also about politics in some other regions of the world, I would say that now I’m more knowledgeable in the field than when I came in my first year, although I still need to do more efforts. What did you like the most in VMU? Could you please describe VMU’s advantages and disadvantages? It’s very hard to say one thing exactly, I’m satisfied 99% with my studies and the university. I like most of the subjects, most of the professors, the education system, the events and activities. VMU advantages: high quality of education, flexible and decentralized system of education, a lot of students activities and events, international environment in both teaching staff and students, friendliness within the teaching and administrative staff and of course students, modern and rich library. VMU disadvantages: I guess the A and B groups system should be reformed or abolished, and also we should learn from the first year how to write academic paper properly. Had you any additional activities while studying? Did you participate in university clubs or organisations; other organizations? What did you gain from these activities? In case you did not participate, please clarify why? What could you recommend for younger colleagues? It was useful for me especially clubs that are oriented toward politics I learned a lot and had chance to express myself. In others I had fun, and in others I learned about other cultures, also sometimes you meet some wonderful people. However unfortunately, there are three main challenges, some organisations are not open to foreign students, others are totalitarian organisations and they don’t accept the others opinion and also I don’t know what is wrong with recent international students but many of them are not interested in taking part in extracurricular activities. For younger colleagues, I would suggest them to be more active, to be ambassadors of their cultures. Many students want to know about others cultures. Have you participated in Erasmus + or bilateral exchange programmes? If yes, was it beneficial? What experience have you gained? Have the studies in foreign countries any differences? If no, why did you not you embrace the opportunity? Unfortunately, I never been as an Erasmus student, for personal reasons as well as the fact that the third and fourth year of studies are very interesting to be missed, on the other hand I took part in Erasmus Internship in Plzeň (Czech Republic), and it was interesting to learn about another country culture and see how is it life there. What are your plans and dreams for the near future? Do you plan to link your future with your study programme? I would like to continue my master studies, and in this case I’ll jump directly to the next question. Do you plan to study Master degree? If yes, what programme do you plan to study? Yes, I would like to study International Relations and Diplomacy master in VDU, however I wish if a new program of political science will be open, preferably something about Eastern Europe politics. What could you wish for students who dream/plan to study in VMU Faculty of Political science and Diplomacy? I would simply say, if you want to study in a high quality education, in an international environment, and having fun, then VMU is the right place for you, and of course the student should be interested and love political science, then PMDF is the right place. In which study programme do you study? 4th year International Politics and Development Studies.